William “Bill” Clark, 96, passed away at his home in Crockett, Monday, June 19, 2017. Bill was born June 12, 1921 in Golden, OK to parents Mary and Marvin Houston Clark. He graduated from Levelland High School and enlisted in the US Army Air Force in 1943. Bill served his country as a B17 Pilot in the European Theatre during WWII, receiving the Distinguished Flying Cross. He married Ruby Gay April 2, 1944 and was discharged from the USAAF just prior to moving to Houston. 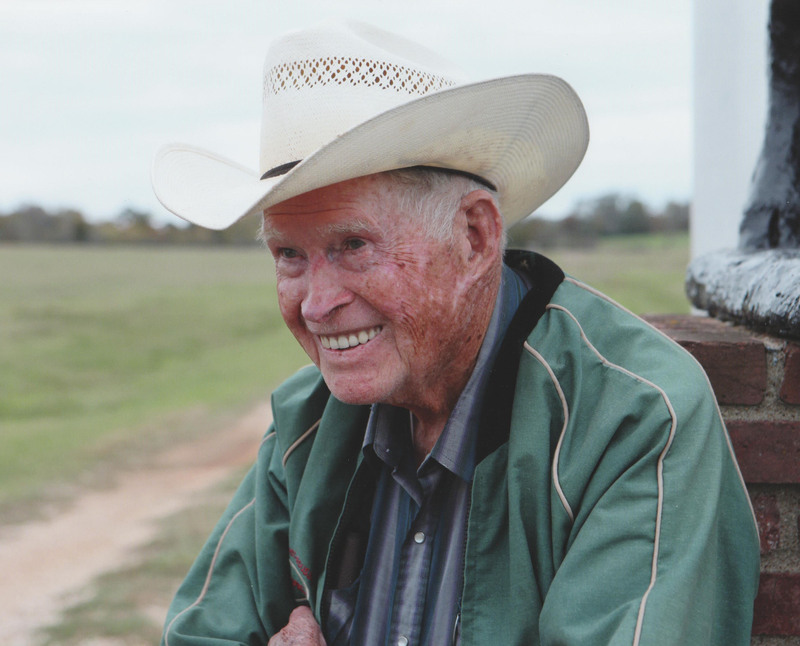 Bill opened Clark Motors in Houston in 1945 and began operations of Clark Angus Ranch in Huntsville in 1952, later moving it to Crockett where he was actively involved in the operation of Clark Angus Ranch until his death. He was active in Heights Little League; a member of the Houston Livestock Show and Rodeo; served as president of both the Texas and American Angus Associations; and was inducted into the Angus Heritage Foundation in 1996. Bill was a member of the First United Methodist Church in Crockett. Bill is survived by his wife, Shirley Clark of Crockett; mother of his children, Ruby Clark of Houston; daughter, Christine Clark of Houston; sons, Eddie Clark and wife, Pattie of Cypress, Douglas Clark of Houston, Matthew Clark and wife, Carmen of Cypress; grandchildren, Jessica Johnson of Baytown, Beau Clark of Santa Fe, Greg Clark of Houston, Megan Clark of Cypress, Sara Clark of Cypress, Emma Clark of Cypress and Wendy O’Leary of New Braunfels; step-daughters, Jeannettea Williams, Merinna House, Tina Goodall, Sharon Barber, Linda Sullenger; numerous nieces, nephews, other relatives and friends. Bill was preceded in death by son, David Marvin Clark; second wife, Geri Clark; brother, Houston Clark; and half-sister, Marvene Jones. Funeral service for William “Bill” Clark will be held at 11:30 a.m. Saturday, June 24, 2017 in the Callaway-Allee Memorial Chapel with Dr. Wayne Irwin and Rev. Ottis Byers officiating. Interment will be 10 a.m. Monday, June 26, 2017 at Woodlawn Cemetery in Houston. The family received visitors Friday from 5 p.m. to 7 p.m. at Callaway-Allee Funeral Home. In lieu of flowers, Houston County Fair and Youth Livestock Association, P. O. Box 442, Crockett, TX 75835 or charity of choice. Arrangements are under the direction of Callaway-Allee Funeral Home.